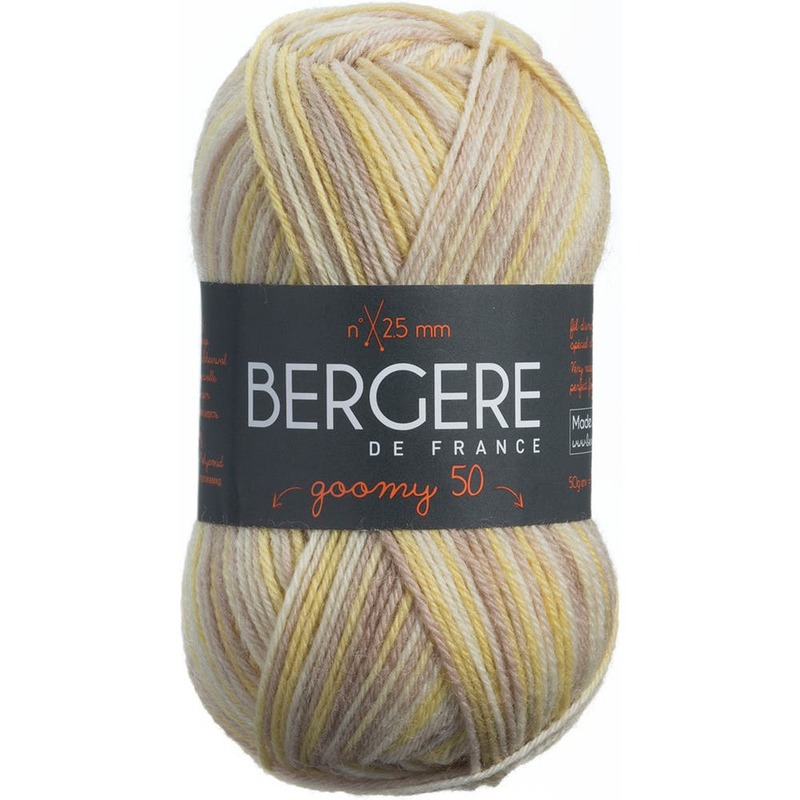 Bergere De France-Goomy Yarn. This fine yarn is printed to create designs while knitting jersey simply. This yarn is resistant to rubbing and machine washing. Weight category: 2. Content: 75% wool 25% polyamide. Putup: 1.75oz/50g 235yd/ 215m. Gauge: 32sx41r = 4in/10cm on size 2.5mm knitting needles. Suggested crochet hook size C3. Dyelotted: we try but are not always able to match dyelots. Care: machine wash dry flat press do not bleach dry clean using P solvents. Imported. This fine yarn is printed to create designs while knitting jersey simply.